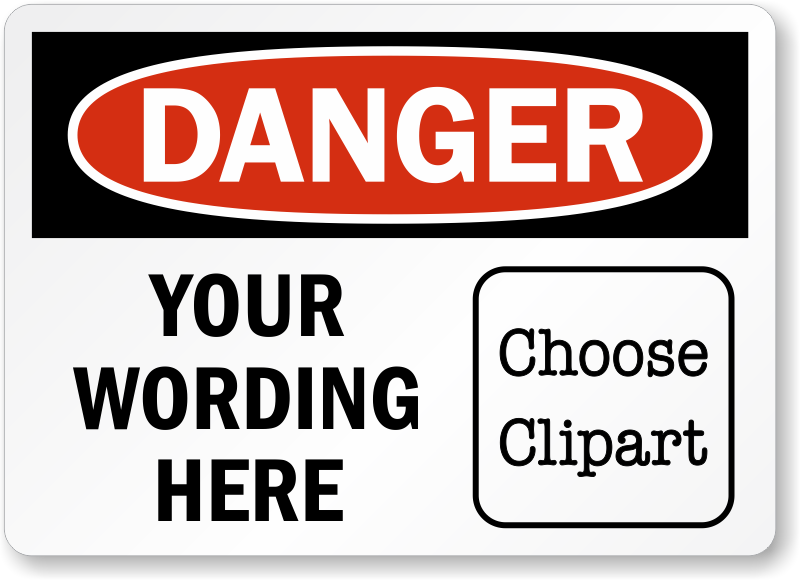 Add text with our easy online wizard and get your very own personalized OSHA Custom Danger Clipart Label. Design your own label in minutes. Label has glossy finish and is easy to clean.